Join our family and our drive to serve! For more than 60 years, new and used car dealerships in the Luther Automotive Group have served Minnesota drivers. In 1952, Rudy Luther bought his first dealership and built our brand on family values and a philosophy of serving our guests, associates and communities. We remain family-owned and have grown to 33 dealerships operating in 3 states. 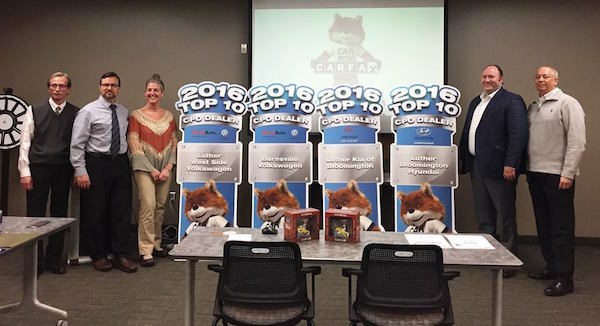 We take pride in our state-of-the-art service centers and we are honored to have been recognized as a CARFAX Top 10 Certified Pre-Owned partner! Many of our operations are in the Minneapolis and St. Paul greater metro area, with additional operations in Fargo; Hudson; Rochester; Cambridge; Mankato; and St. Cloud. Our position as the 12th largest dealership group in the US by sales volume represents over 60 years of hard work by the team members of Luther Automotive Group. We believe that one of our biggest responsibilities to the people who work for us and the communities we serve is to be a smart, committed, forward thinking employer and do the very best we can to create sustainable jobs and opportunities. More than 2,500 employees make up the Luther Automotive family. Such individuals are few and far between, but we've succeeded in assembling the highest quality team. Additional benefits include Wellness Cash Rewards and a Health Savings Account! Children of our employees receive Orthodontic benefits up to 19 years of age. We hold a Best of the Best Dinner for our Top 25 Sales Consultants and an Annual Service Recognition Dinner for employees with 25+ years of service. We have 33 dealerships across 3 states and you'll have access to work at all of them! We are focused on developing our technicians and getting them to the next level! 'Driven To Serve' truly exemplifies what lies at the heart of Luther Automotive. Our Family of Dealerships are dedicated to serving each other, our guests and our communities. 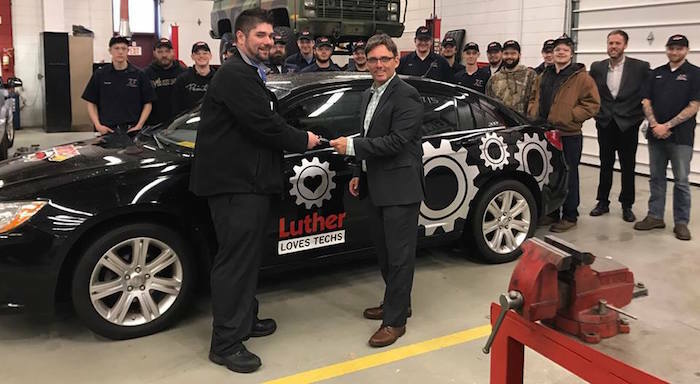 Luther Automotive has a longstanding tradition of giving back to the community through partnerships with local organizations in the Twin Cities as well as organizations around the states of Minnesota, Wisconsin, and North Dakota. It is through this tradition that Luther has established three “arms” or target areas through which we aim to make a lasting impact: basic needs such as hunger or homelessness, addiction recovery, and job readiness. Below are examples of organizations around the Twin Cities that Luther has partnered with and a little bit about what they do for the people of the community.